Traditional hip replacement surgery is done through an incision that is usually about 5 to 8 inches in length. Beneath the incision, the muscle is separated, and the hip joint is exposed. The surgeon then removes the arthritic hip joint and replaces this with a metal and plastic implant. The surgeon performs this surgery by looking directly at the arthritic hip joint and setting the artificial hip implant into place. After surgery, patients commonly stay in the hospital 4 to 6 days and often require months of rehabilitation. New techniques have been developed that allow the surgeon to perform the same surgery (hip replacement) through two small incisions and with minimal muscle dissection. The surgeon does not look directly at the arthritic hip, rather, he or she uses x-ray guidance in the operating room to position the artificial hip. The hope is that patients who undergo this minimally invasive hip replacement will have shorter hospital stays, quicker rehabilitation, and better results. However, being a new surgery, there are questions as to whether or not this is actually a "better" procedure. Proponents of the two-incision technique of hip replacement argue that the surgery can be performed with the same technical precision and less post-operative morbidity. Because the surgery is less extensive, the rehabilitation may be faster, the pain may be less, and it is possible that some complications, such as blood loss and hip dislocation, may be less frequent. 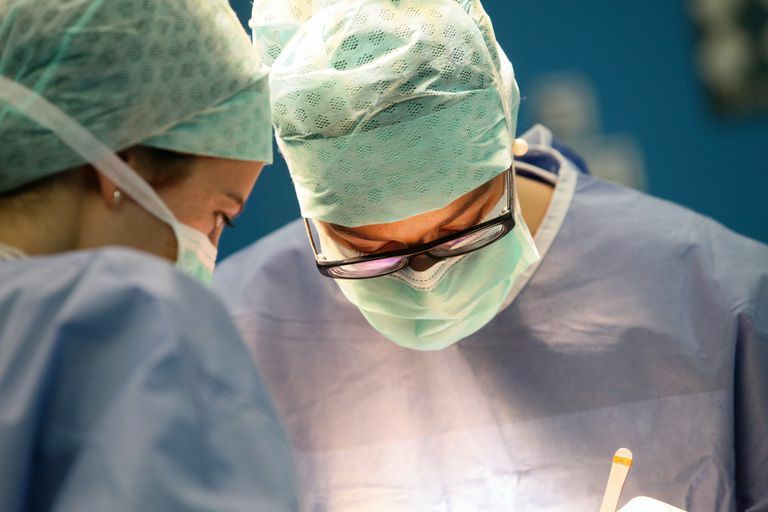 Early results from some surgeons have shown that patients often leave the hospital sooner (sometimes with only 1- or 2-day hospital stays), and they often have a faster rehabilitation. Those surgeons who do not advocate this procedure have several arguments. First, there are no good studies that show this procedure is any better than traditional hip replacement, and many surgeons feel the results are worse. Second, very few surgeons have been performing this procedure for more than two years. This technique is difficult to perform, and learning this new procedure can be difficult. Third, by relying on x-ray guidance, some surgeons feel this technique is less precise and may result in poor positioning of the artificial hip implant. Finally, there are a limited number of implant options with the two-incision hip replacement, and some surgeons feel they are not able to use the optimal artificial hip implant. Two-incision hip replacement surgery is in its infancy. Clearly, we need long-term analysis of patients who have had this procedure in order to determine if these patients are better, or worse than patients who have had a traditional hip replacement. There are some recent studies that question the benefit of this mini-hip replacement procedure. These studies have questioned the claims that the mini-hip replacement provides a faster recovery[link]. As time passes, more studies are exploring the possible benefit of mini-hip replacement. Patients are often attracted to the idea of having a smaller scar, and may not consider the fact that we don't have any good long-term results that show how good this two-incision technique of hip replacement may be. Ultimately, the most important goals of hip replacement surgery are to have a good, painless, hip joint that will last as many years as possible. While small scars and shorter rehabilitation are wonderful "perks," these are not the most important goals of hip replacement surgery. Lastly, not all patients are good candidates for this two-incision technique. Even if you are willing to have this procedure, and desire the possible benefits, you must fit the criteria for a patient to have this procedure.